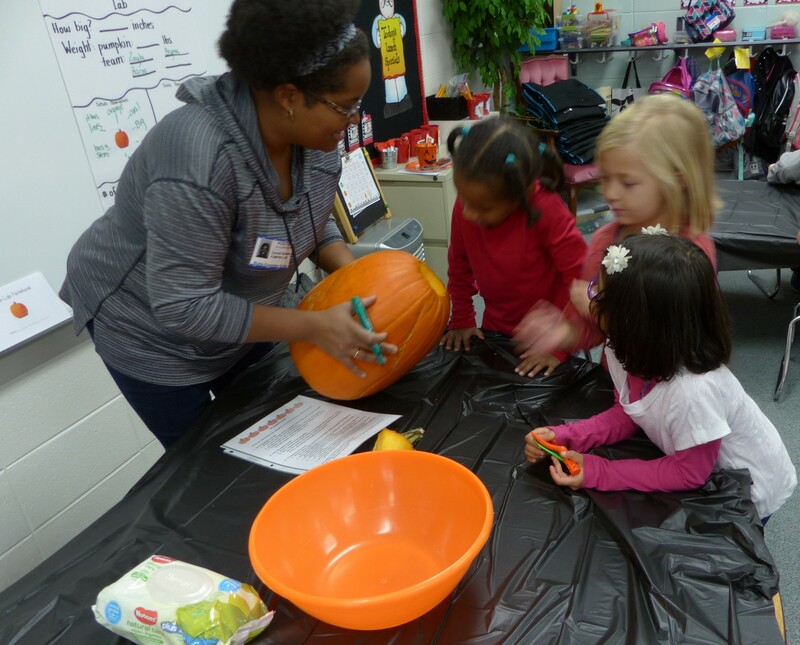 Kindergarten students participated in their annual Pumpkin Lab on Wednesday, October 31. 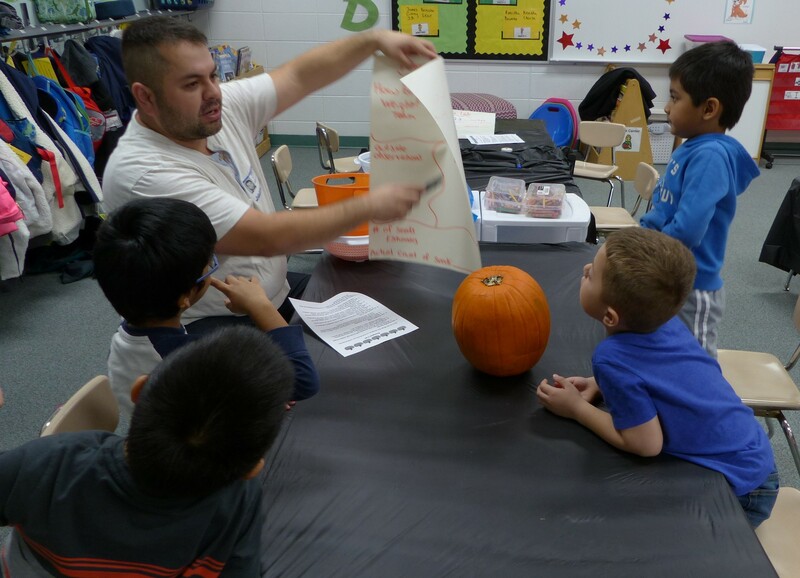 Students worked in groups with parent volunteers to make observations and measurements about the pumpkin. They found out how much the pumpkin weighed and compared it to their own weights. They also measured the pumpkin’s width, heighth and counted the number of seeds inside.